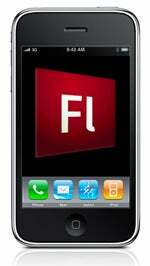 The battle between Apple and Adobe over Flash rages on--stirred up by a 1700-word open letter from Steve Jobs explaining in detail why Apple is not willing to embrace the virtually ubiquitous platform on its iPhone or iPad devices. Jobs cites six primary reasons for rejecting Flash, but somehow it just doesn't add up still. Let's take a closer look at each of the six points--not necessarily in the order Jobs lists them--from the letter and dig deeper to see if the arguments and justifications actually hold water. Jobs states in his letter "Adobe has repeatedly said that Apple mobile devices cannot access "the full Web" because 75 percent of video on the Web is in Flash. What they don't say is that almost all this video is also available in a more modern format, H.264, and viewable on iPhones, iPods and iPads." As a user of both the iPhone and iPad, I have to side with Jobs on this one. I won't say that the lack of Flash is never an issue--I'd like to be able to track my Dominos Pizza order in real-time from the iPad--but it in the years I have been using the iPhone it has really never even occurred to me as an issue. Most of the sites that "rely" on Flash are really only using it to deliver ads that I don't want to see anyway. The reality, as Jobs points out, is that YouTube--the largest single purveyor of online video content--has an iPhone and iPad app to deliver video, and most major online outlets have adopted iPhone and iPad compatible video standards. For those that still depend on Flash, there are emerging Band-Aid solutions to deliver alternate streams to iPhones and iPads. Jobs says "Symantec recently highlighted Flash for having one of the worst security records in 2009. We also know first hand that Flash is the number one reason Macs crash," adding "We don't want to reduce the reliability and security of our iPhones, iPods and iPads by adding Flash." I am not sure about reliability or performance issues, but Symantec is not alone in citing security concerns with Adobe software. Microsoft has stepped up its game and offers a more formidable challenge for malware developers. Adobe products--especially Flash and Acrobat Reader--are ubiquitous on virtually every platform, and represent the low-hanging fruit for attackers to target. However, the lack of true multitasking support on the iPhone and iPad provide the devices with protection against malware attacks. Adobe software may be the weakest link on other platforms, but probably wouldn't fundamentally impair the security of the iPhone or iPad. In the letter, Jobs explains that H.264 standard is the video codec of choice for the iPhone and iPad. The fact that H.264 decoding is built-in at the hardware level is one of the reasons that Apple embraces it. Jobs explains that decoding H.264 in software apparently consumes about twice as much battery power. The letter says "Although Flash has recently added support for H.264, the video on almost all Flash websites currently requires an older generation decoder that is not implemented in mobile chips and must be run in software." Fair enough. I understand that Apple feels like any third-party software that cuts battery life in half will ultimately reflect poorly on the platform, or on Apple itself. However, I don't really see the harm in allowing Flash as an option. Put the choice in the hands of the users and let them decide for themselves if cutting the battery life in half is a worthwhile tradeoff for using Flash.